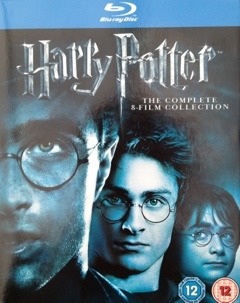 Harry (Daniel Radcliffe), Ron (Rupert Grint) and Hermione (Emma Watson) attempt to find and destroy all of Voldemort’s horcrux’s so that he will once more be vulnerable. But they are at a loss where to find them or how to destroy them. During a Weasley family wedding Ron, Hermione and Harry learn that they have been given bequests in Dumbledore’s (Michael Gambon) will. Rufus Scrimgeour (Bill Nighy) delivers the bequests, all a little odd and seemingly unimportant. One last bequest the Ministry refused to hand over: the Sword of Godrick Griffindor, which they state was not Dumbledore’s to bequest. Through several battles and attacks the three friends find themselves cut-off from their friends. They learn that the Minister of Magic, Scrimgeour, has been killed and that the Ministry itself is now under the control of the Death Eaters, and therefore Voldemort (Ralph Fiennes). Desperate, alone and with a seemingly impossible task the three companions go into hiding. With only one Horcrux in their possession, well actually the Locket is already known to be a fake. With no Horcrux in their possession, knowledge that Voldemort may have decided to create up to six, they know that two have been destroyed (Gaunt’s Ring and Riddle’s Diary) and they know the third is Slytherin’s Locket. But that’s it. Even if they find them they still need to find a way to destroy them. their only hope it to trace the one they do know of. Through Kreecher (Simon McBurney) and Mundungus (Andy Lindon) they learn that the locket is now owned by none other than their old Defence Against the Dark Arts tutor, Delores Umbridge (Imelda Staunton). As she now works at the Ministry of Magic the three friends decide on a bold and dangerous plan: a raid on their enemies new base. But that turns out to be the beginning of their problems. 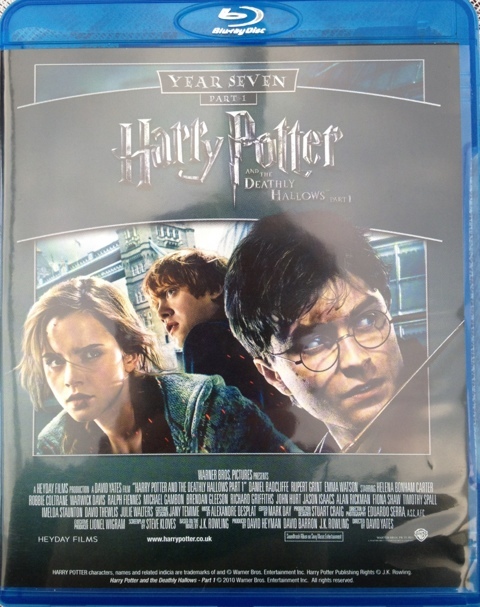 This movie suffers a little from the decision to remove so much backstory from Half Blood Prince. It’s hard to really get to grips with the Horcruxes or Tom Riddle without that information. But this is a good movie. the plot moves well enough (some people do think that the camping sequences are simply too long) and action and adventure is present – especially in the raid on the Ministry of Magic. The introduction of the Deathly Hallows allows for one of my favourite sequences of the films, the animated story of the Three Brothers. This sequence is marvellously delivered by Emma Watson. Young lady, take a bow. A whole movie outside Hogwart’s? Yep – this allows our leads to show that they can now hold a scene themselves, which they each do effectively and individually throughout the movie. The effects are well done. I like the three heroes trying to destroy the Locket myself. The Raid brings its own special effects to good light – the change of statue for example as well as Polyjuice Potion. The decision to split the story into two is the correct one. The entire series would easily have been spoilt by the editing and abridgements required to fit the story into one film. However, they only just get away with the ending, only the grief of the death of a close friend saves the movie from sort of drifting away. The supporting cast is now established and the maniacal, malevolence of Helena Bonham Carter‘s Bellatrix Lestrange contrasts well with the fearful, worrysome Malfoy’s (Jason Isaacs, Tom Felton and Helen McCrory). The absolute final scene is a nice touch as Voldemort seems to be gaining on the friends faster than they are on his Horcruxes.